PROPERTY OVERVIEW >> $262pw -- Price incl. 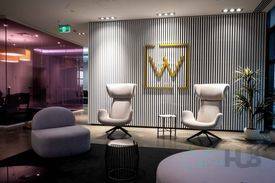 Affordable shared office space for rent in Melbourne’s legal precinct. 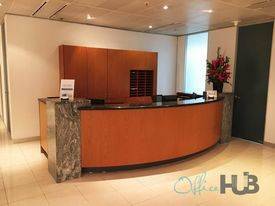 Offering 24/7 secured access and all-inclusive boardroom use, this workspace represents a cost-effective and flexible option in Melbourne CBD’s office market. On offer is a shared coworking space with up to six desks or a private office suite with up to four desks, each with full office furniture, high-speed internet and lockable storage while cleaning and maintenance is taken care of for you. The office is lined by full height windows on one side benefitting from all day sun and the feel-good factor of natural daylight. 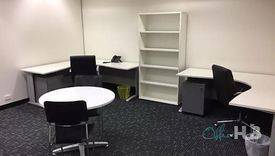 It is shared with a professional services firm that recommends the location and office space for lawyers, accountants and other professional services companies looking for a friendly yet quiet and productive working environment at a great price. Flexi terms available from 1 month until the end of 2019. Strategically located on the corner of Queen and Lonsdale Streets, this B Grade office building is perched above Melbourne Chambers in the centre of Melbourne’s legal precinct. 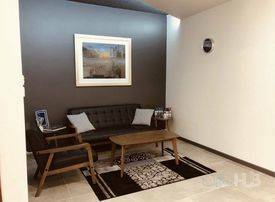 The building benefits from triple street frontage on high-traffic streets and the 11 floors enjoy natural light from three sides and excellent CBD views as well as ground floor retail so you can grab a coffee without leaving the building. When you do step outside, you’ll find a range of popular restaurants and gyms in the immediate vicinity, high street shopping at Bourke Street Mall and easy public transport links via buses, trams and trains at Flagstaff and Melbourne Central train stations. Also close at hand are the County Court of Victoria, Melbourne Children's Court, Melbourne Magistrates Court and the Federal Court of Australia.